View your twitter feed in your screensaver. Is there a better alternative to TwitterTicker ? Is TwitterTicker really the best app in Screen Savers category? Will TwitterTicker work good on macOS 10.13.4? 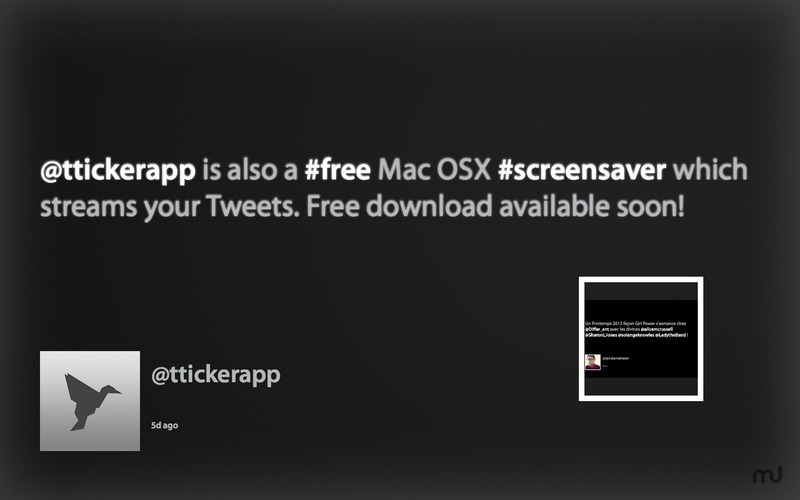 TwitterTicker is a beautiful screensaver for your Mac that will stream your Twitter timeline in the form of a nice Mac screensaver. 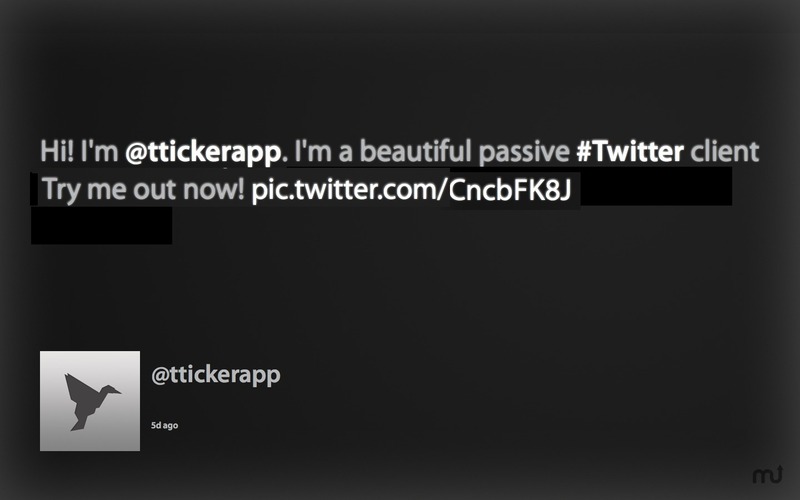 TwitterTicker screensaver will display tweets as well as media content previews such as photos and video still previews. TwitterTicker needs a rating. Be the first to rate this app and get the discussion started!